David Sandler, proprietor of Friends Music Shoppe attended Western Iowa Technical College for band instrument repair in 1973. Following graduation he apprenticed three years for Viner Music Co., Bangor ME. In 1976, David managed the band instrument repair division of Arnold Music Co., Stoughton, MA. 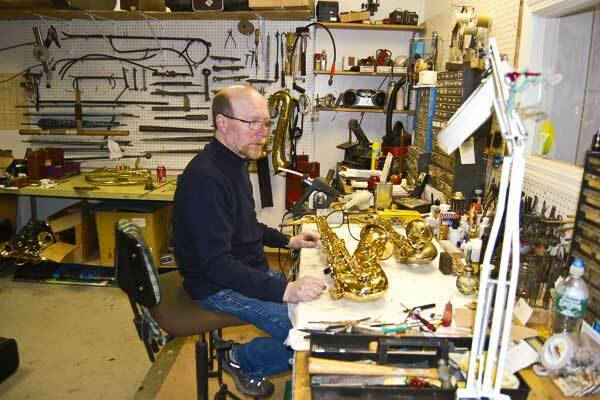 Five years later, David purchased Friends Music Shoppe, where he concentrates on band instrument repairs, specializing in woodwind and brasswind mechanical restoration. For twenty-six years the professional performer, private musician, universities, public and private schools throughout the northeast have all come to rely on David's expertise and experience. David is a member of the National association of Band Instrument Repair Technicians.